Perhaps you don’t live in a place with snow… and you can’t sit near a cozy log fire. Well… even if so, there’s no reason why you can’t have a little holiday “Warmth” this winter. Today only, get “Warmth” for free on the Kindle! 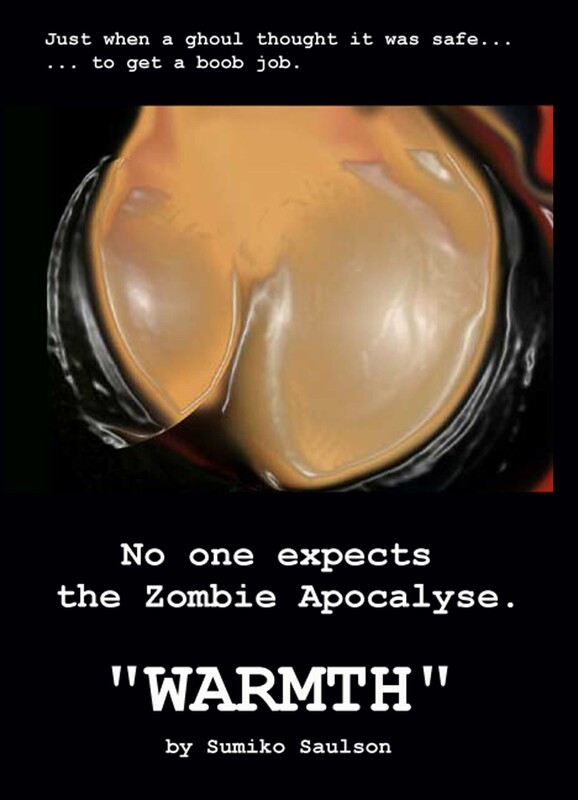 Warmth is a work of horror firmly in the dark comedy arena about an alternate earth where a prehistoric gut flora has extended the life of a select few – ghouls, who can only survive by consuming human flesh. This extended life comes with an end of the line penalty, though… when they die, all ghouls come back as flesh-eating zombies. The reanimated corpses have only one purpose – to seek out and infect humans with the ghoulish condition. But the world will not survive if most of it’s population are infected, so a select few ghouls are self-appointed zombie hunters – ever culling down the recently dead to prevent this kind of outbreak, and to keep ghoulish life a secret from the human world. Sera is one of these – a ghoulish zombie hunter who is more than a bit cranky and irritable – the slow aging of the ghouls has also affected her unborn child, and as a result she’s been pregnant for the past 600 years. However, all of that will soon be over. In the weeks before she’s to go into labor, an old enemy has resurfaced – Lizbet, an irrational wildcard who threatens through her impulsive and reckless actions to reveal the ghoul community to all of humankind – and by doing so, perhaps get herself killed in a violent and public scene that could potentially kick start the zombie apocalypse. ~ by Sumiko Saulson on December 25, 2012.